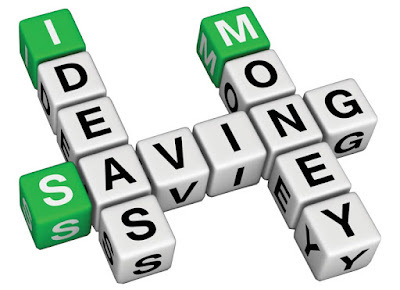 When you come from a middle class family, the only time you would hear the word "Savings" is due to the lack of it. I come from a family where both my parents had to work hard to make ends meet. The focus primarily was on having the basics first and then save. Growing up, I saw the struggle my parents had to go through to raise us in a matter that was considered apt for the society. My sister and I were put in the best of schools and colleges and were given the best education possible. When I turned eighteen, I decided that it was time that I took atleast my expenses on to myself. I started doing promotional jobs during weekends and holidays and thought that to be easy money. Once I finished college and joined a Corporate job, I understood how difficult it is to make money. A regular monthly income guarantees security, but I wanted something more than that. I wanted my money to work for me today and tomorrow. No matter how small the amount is. But unfortunately I had no one to guide me regarding the right use of my income and how I can have some savings. Instead of waiting for someone to come teach me, I decided to figure it out myself. As soon as the monthly salary was credited to my account, I wrote down my expenses. Instead of planning amount spent per day, I gave myself a miscellaneous budget to get past the month. I created another account within the same bank and started transferring a fixed sum of money every month as emergency money. It was tough initially to run the month on a tight budget, but as month passed I saw the emergency fund growing and I was very happy with it. I started investing small amounts and I was happy with the returns that were yielded. Dedicatedly putting away some savings and later investing them made me finally stronger and smarter. I do not make a huge salary, but I am content with whatever I get and I know how to make it work for me. There are a few things that have worked for me. Read more about it here. Hehe, follow the tips then! That's a priceless advice to save. I don't know how to do it and coming from a background struggling to save, I am still not able to make it. I will try doing it once my loan is sorted out since I have 2 SBI accounts, starting with 2,000 bucks. Thanks for the awesome ideas. I'm glad you can implement them Vishal! Haha! I so agree with the above comment made by Bikram. It’s painful especially because I am a big online shopper. However the happy news for me is that I make use of coupon sites to make big savings from my online purchases. Coupon sites are helpful indeed. With every post I read here, new or old, I gain insight into something. I am glad ow u managed to keep a balance. Yes it looks tough initially but u have urself proved it here how useful it is.